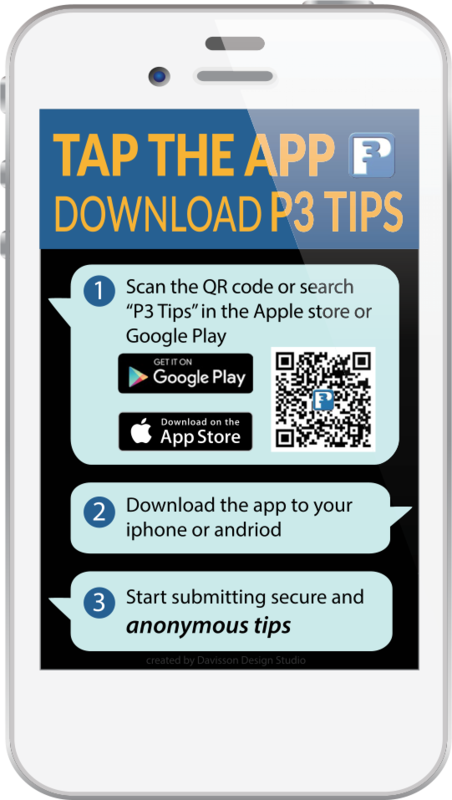 Search for “P3 Tips” on the Apple App Store or Android Marketplace. 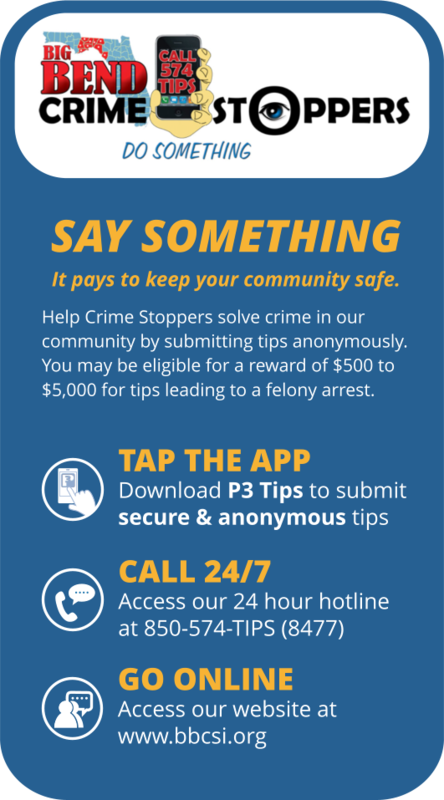 P3 Tips Mobile will allow tipsters to submit secure and anonymous tips to Crime Stoppers, law enforcement agencies or School Safety Officers and Administrators. Thousands of communities, schools and government agencies are covered by this application since it connects directly with P3, the world’s largest and North America’s only, truly anonymous tip reporting system. Tipsters could receive rewards from $500-$5,000 if the tip leads to a felony arrest. Nobody will ever know your identity. Download the crime stoppers app!